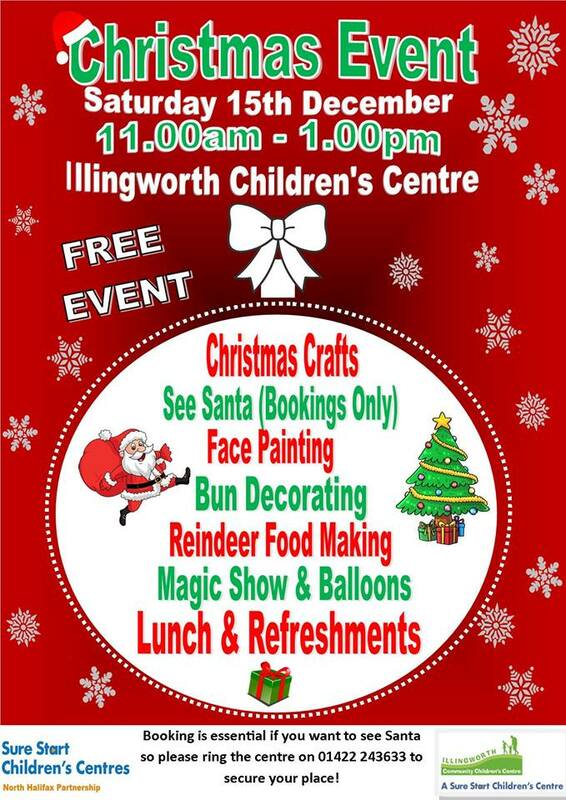 Illingworth Community Children’s Centre will be holding a special FREE Christmas event on Saturday 15 December, 11:00am-1:00pm. BOOKING is essential if you want to see Santa so please ring the centre on 01422 243633 to secure your place! Once your place is secured they will send you a unique reference by text that you will need to provide on the day. There will be Christmas crafts (including making Reindeer Food, a magic show, lunch and refreshments.